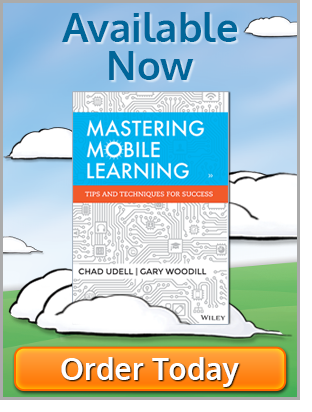 It is true that mLearning is not eLearning on a mobile device. Beyond the normal arguments related to the basic use case (short bursts, small bites of information, etc. ), there is the statement often used in performance support and now adaptive learning content: Just Enough, Just In Time, Just For Me. Mobile learning makes this three-faceted approach possible with the affordances of the devices. Previously, I’d written about the use of push notifications to take advantage of the unique affordances that mobile devices offer, and in this article, I’d like to explore another unique technology for mobile devices – GPS and geolocational capabilities. Most mobile devices – phones and tablets alike – have some sort of Global Positioning System (GPS) feature available to use in order to help users ascertain where they are and what is around them. This feature can be used to tailor the learner’s user experience in a very direct and effective manner. Mobile learning is best suited for smaller bits of information. More accurately, though, good mLearning is granular. The bits are digestible and complete by themselves. Keep content short and focused based on where you are. Any number of specific use cases has distinct content needs based on where the user is at the time. For this exercise, let’s explore job site safety. In the job site equipment safety training world, a piece of general courseware may have to provide an exhaustive list of things that the learner needs to know across all conditions and worksites. In practice and onsite, only the pieces of equipment available at a site really need to have their safety information available as a quick reference. Does your job site not have a concrete saw or a backhoe present? No? Then don’t provide that information to the person who uses mobile learning to access your resources about safety. Combine the location-based curation with the current time to produce a winning combination. The learner’s intention when accessing information at home after work hours is likely different from accessing the same site or app during work hours at the office. Think about your habits. When you use the AA.com or Delta.com sites for your travel needs at home, you probably are looking for different information than when you are en route to the airport in a taxi or when you are strolling through the terminal. Infer intent via triangulation of location and the setting or time of the access, and you can tailor the amount of content to match the user’s needs. Only in sci-fi like Dr. Who or Looper do time and space typically crossover, but there are direct linkages to geolocation and time-of-information access in mobile learning. If this concept sounds like it came from the future, just follow me for a moment. With some planning and design, you can create mobile learning information that not only puts information at the person’s fingers when they need it but also can let the person know when and where they might need to know something they haven’t specifically requested. This area of geolocational technology is somewhat related to the push notification article I mentioned earlier, but with a couple new twists. A serious and very effective use of such a notification: If you have an Android smartphone or iPhone with iOS 6 and your carrier supports it, you may have at one time received an AMBER Alert. This is just-in-time information, and it is targeted to specific regions. Weather alerts can be delivered like this, turning your phone into a weather radio of sorts. This is highly effective since the mobile device rarely leaves your side. You could take a similar approach with work-related information—letting your employees know about emergency situations in an office or even giving your outdoor employees updated weather information, so they come equipped to the job ready to work with the adequate clothing or protective gear. Just-in-time reaches new heights when you explore the world of geofences (a virtual perimeter for a real-world geographic area) for your mobile learning. Apple’s Reminders app on iOS can tell you to water the garden when you get back home or to reboot the servers when you get to work because it knows where you live and where you work (provided you’ve told it that information ahead of time). Entering and exiting geofenced areas could trigger a nearly infinite number of workflows, announcements and information delivery. The required APIs for creating geofences are available to be used in most major platforms, with Android’s LocationManager and iOS’s CoreLocation fitting the bill nicely. Mobile Web browsers are also capable of discerning the user’s location, so it is not confined to just apps. With the advent of Siri and the coming rise of personal digital assistants, this type of just-in-time information is only going to increase. Mobile, in essence, is always a personal thing. These devices are always with us, within reach, and often owned by us. Because of this, we’ve made them ours by customizing the devices and setting up accounts and preferences. The device can store this information and compare it with GPS data to create a customized mix of learning content never possible. Searches for information can be confined to a specific radius around the user, sort the results found by proximity, and even hide or omit irrelevant distant information, which could be construed as noise. You have the power as the designer to tailor information presented to the user based on where they are and provide personalized content that is pertinent and timely. 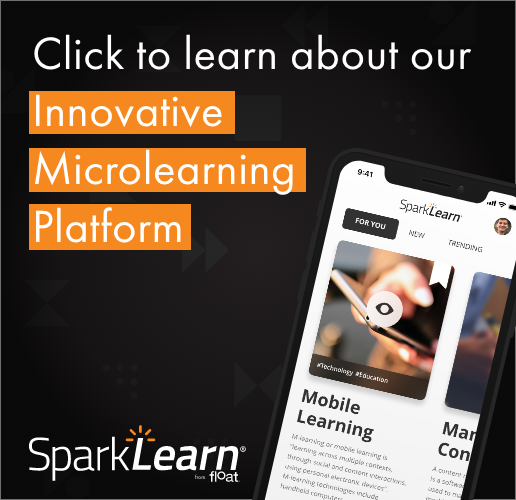 Once you’ve tapped into device capabilities like GPS in your mobile learning, you are well on your way to maximizing your workers’ performance by making their information just in time, just enough and just for them. What sorts of interesting location-based services are you creating for your learners? We want to hear from you. Leave a comment or send us links below, or contact us if you’d like to learn more about using geolocation in your organization. Also, feel free to check out our brand-new free app for geolocation, Wayfiler! Wayfiler helps you locate files and websites when you’re near a specific area.